Note: this page can also be reached from the History menu and Other Resources, Religion. 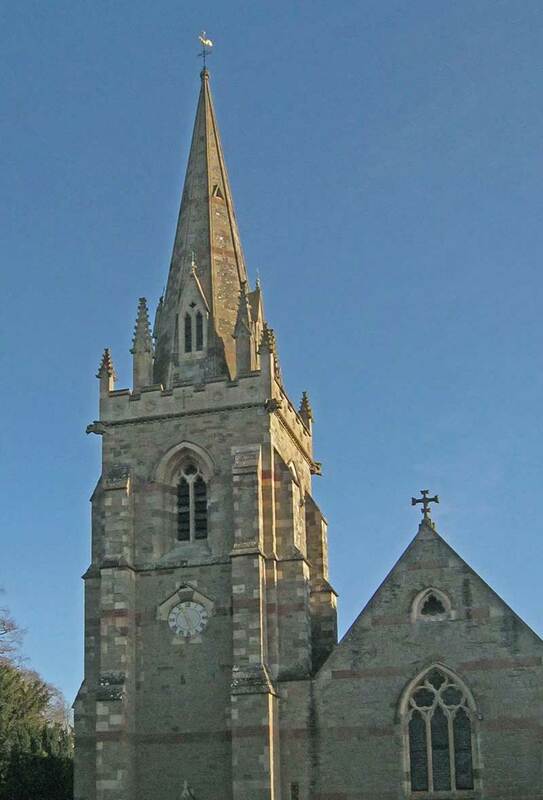 As you walk around Malvern you may sometimes spot a church tower or spire rising above the rooftops. Here are photos of some of those present and past places of worship. Many of these churches and chapels were built in the Gothic style during the Victorian period when tourism associated with the 'water cure' flourished and churches competed to attract people to their particular style of worship. Some buildings have since closed as places of worship but there probably remain many more buildings than present church goers can realistically support. In churches you will often find Rolls of the Fallen of two World Wars. The Priory Church (see photo of north side above) was founded about 1085 as a Benedictine Abbey. Following the dissolution of the monastries by Henry VIII, the towns-people acquired a large part of the building as a new Parish Church to replace St Thomas's, which stood where the Post Office is now situated and was in a bad state of repair. 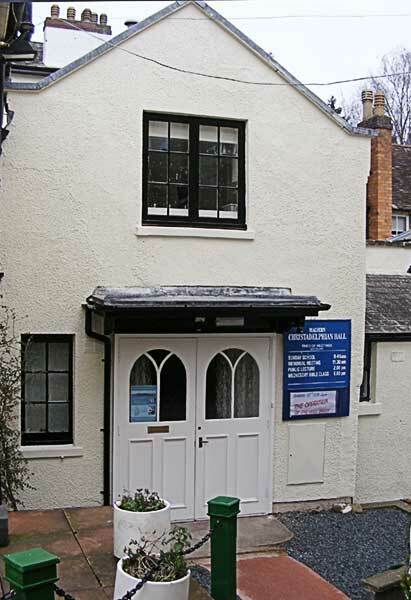 The Lyttelton Well Christian Outreach Centre is situated at the entrance to The Priory churchyard. It is not a church as such but serves the spiritual needs of the community in other ways. 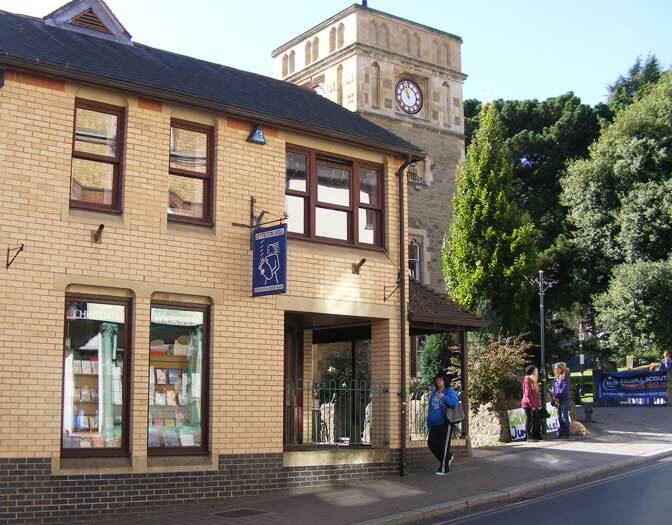 The bookshop sells religious books and music, the cafe provides tea, cake and snacks, and counselling is available. The much older Lyttelton Rooms next door were founded by Lady Lyttelton for the education of the children of the poor and can still be hired for functions. In 1979 the Christadelphians moved into a hall in Abbey Road, 30 yards to the north east of the Abbey gateway (see photo opposite). The Christadelphiands are a Bible based community founded in the USA in 1848. The Baptist Church, built about 1894, is sited on a steep slope above Park View apartments. The photos show the blue sign at pavement level and a glimpse of the church from half way up the steep drive. There is a hall and limited parking at the top so disabled people can be dropped off. Holly Mount Congregational Church (see below) was built in 1876 high on a ledge above Brays Outfitters on land purchased from the Holly Mount Estate; the main entrance is in Queen's Drive, which runs behind Brays, from where a better view can be had of the building. The church stands two hundred yards south of the location of Holly Mount mansion where Princess Victoria stayed with her mother the Duchess of Kent in 1830. 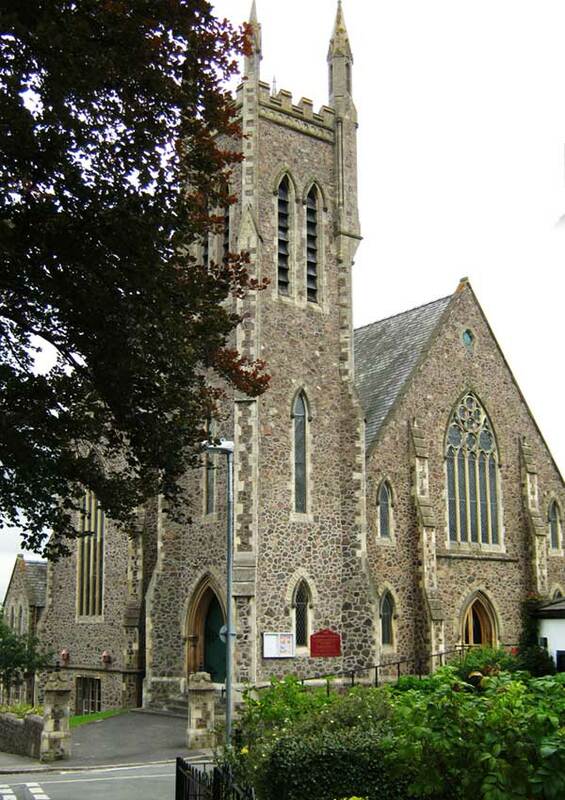 About 1972 the Congregational Church ceased to exist in name after merging with the Presbyterian Church of England, so Holly Mount is now a United Reformed Church (URC). 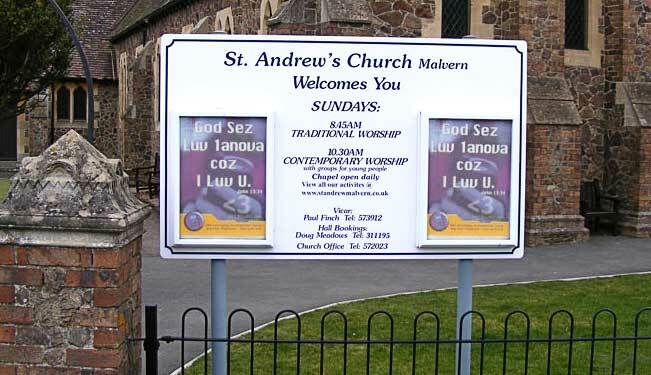 There is another URC church in Malvern Link. Quakers meet and worship at the Friends Meeting House in Orchard Road which was built in 1938. The hall can be hired by local organisations such as the U3A. 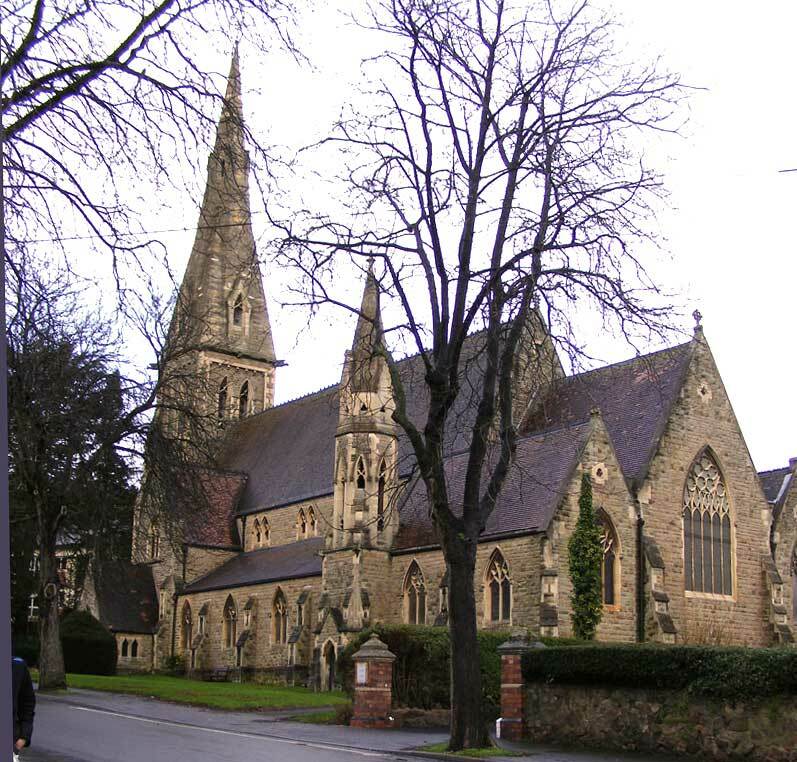 St Edmund's, situated a few yards from the Friends Meeting House on the corner of Priory Road and College Road, was built as a Roman Catholic church in 1905. 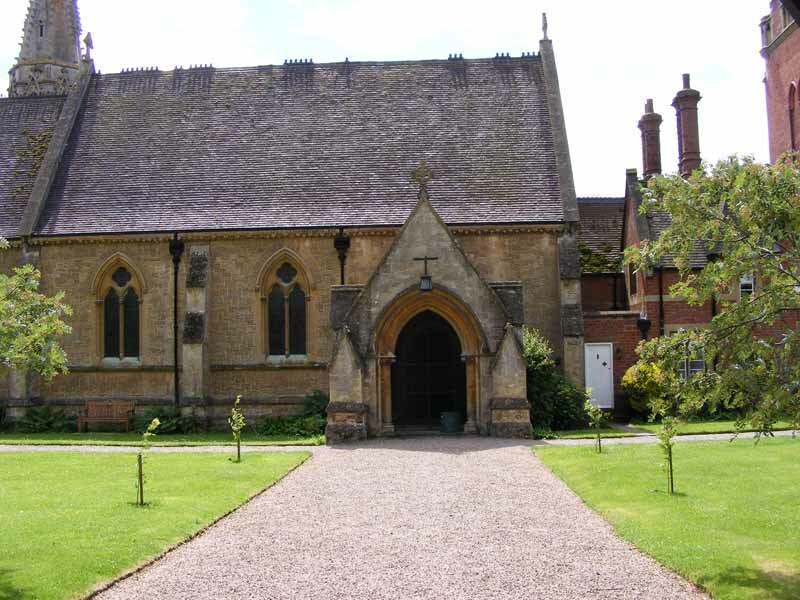 It closed in 1996 and is now owned by Malvern College and used as a concert hall and for other functions. According to the Birmingham Post, during WWII, General de Gaulle chose first a school house at Malvern College, and then Ribbesford House at Bewdley as the headquarters for his Free French officer cadets. The cadets consisted of a group of some 200 young men, aged 14 to 17, and they too engaged in anti-invasion manoeuvres with the Home Guard. They remained at Ribbesford House for two years until D-Day, when, suitably trained and a few years older, they joined the invasion forces. 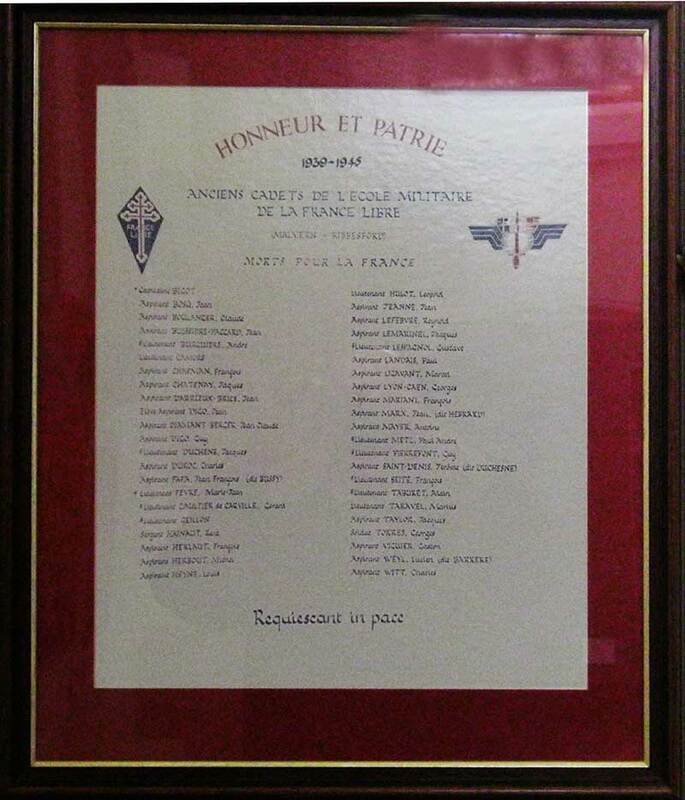 A fading handwritten list in the NE corner of St Edmunds hall is a memorial to some 44 cadets who gave their lives for France. Nowadays, very few people know of Emmanuelle Church and its fine facade hidden away on the east side of the Wells Road near the turning to the Wyche cutting. It was built in 1874 replacing an earlier chapel. It closed about 1970 and is now used as a health and fitness centre (see photo below). Lansdowne Crescent Methodist Church (see photo opposite) was built in 1866 and has a hall beneath the church which was once used as a school. In more recent times the hall was used by a playgroup for pre school children. 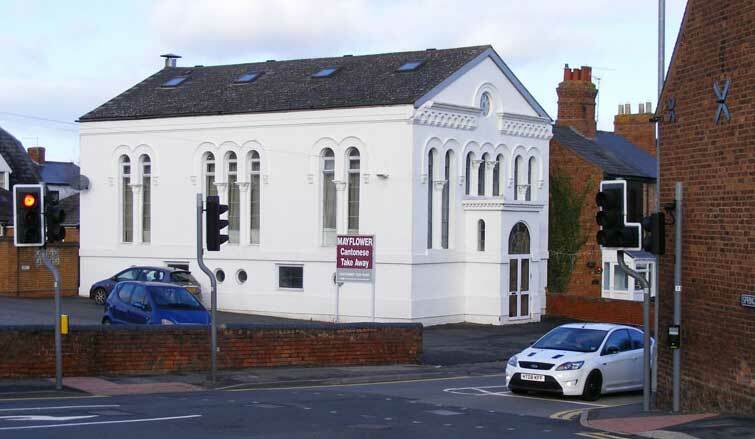 There is another Methodist church built from red brick in Somers Park Avenue Malvern Link. Christ Church was built in 1876. Rumour has it the church was originally built to meet the needs of the servants of the gentry, who themselves worshipped at The Priory. It is a lovely church with a spacious interior. The congregation is now growing and an abundance of concerts and events are held there. 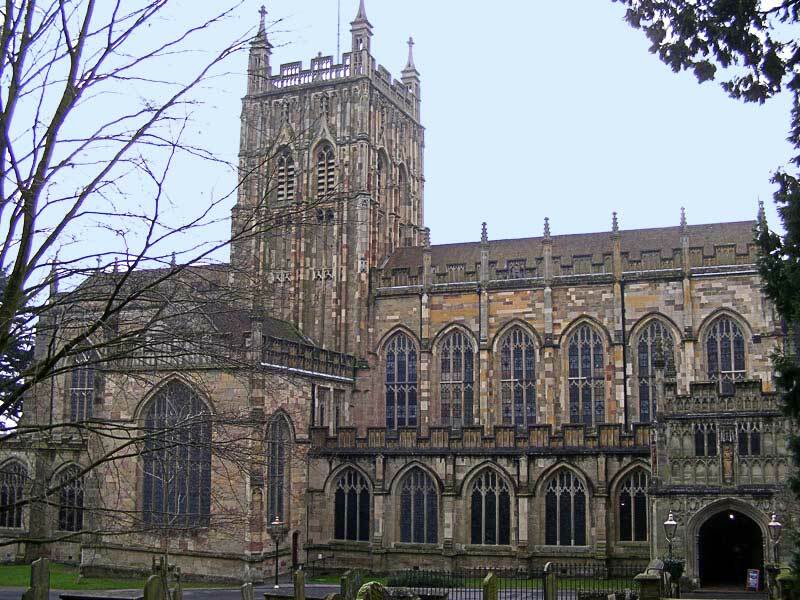 The church has recently become the new Malvern home of the English Symphony Orchestra (ESO). Malvern Civic Society, the Malvern branch of Sight Concern Worcestershire, and other organisations meet in the modern hall behind the church. Holy Trinity at Link Top, North Malvern was built in 1851. Lady Foley gave the land and Charles Morris a local benefactor and his sister Jane, who lived at 'The Chase' on Worcester Road, gave generously to the fund. James Dyson Perrins and his son Charles of the Worcestershire Sauce family who lived nearby at Davenham funded later additions. 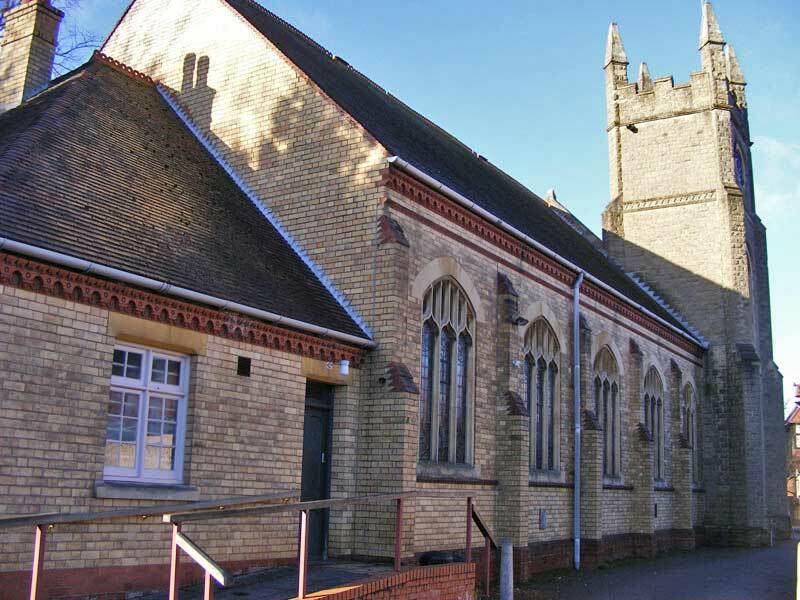 The church seats about 500, and functions are held at the hall on the Worcester Road, beneath the church. 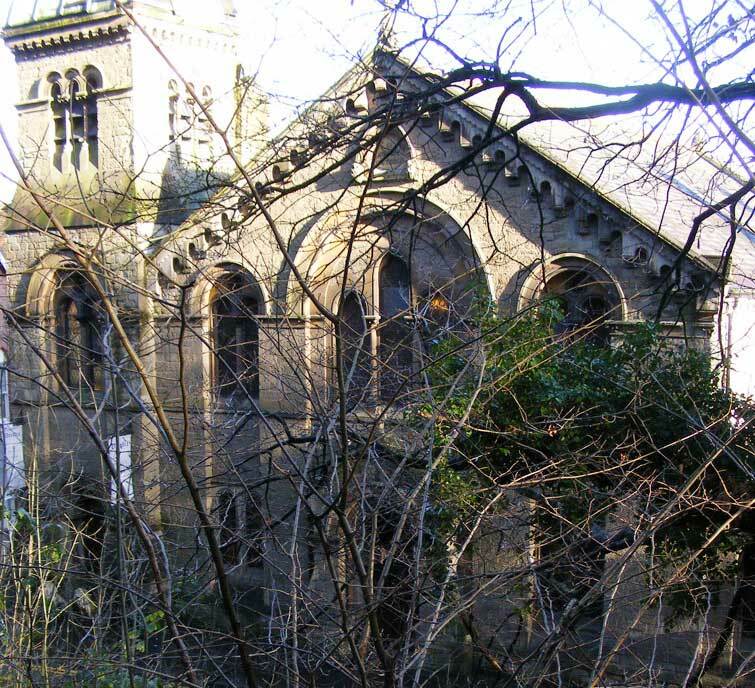 St Joseph's was built in 1876 on land owned by the Catholic Hornyold family of Blackmore Park. The church was subsantially extended in 1998. We came across the rear entrance to the Brethren Meeting Room approached by a gravel drive from Bank Street, while strolling down Back Lane to the Nag's Head. The main door is in Lygon Bank. St Matthias, a large church surrounded by tall trees, was founded in 1846 and extended and largely rebuilt in 1881 with generous funding from Earl Beauchamp of Madresfield Court (see photo opposite). The tower was added in 1899. 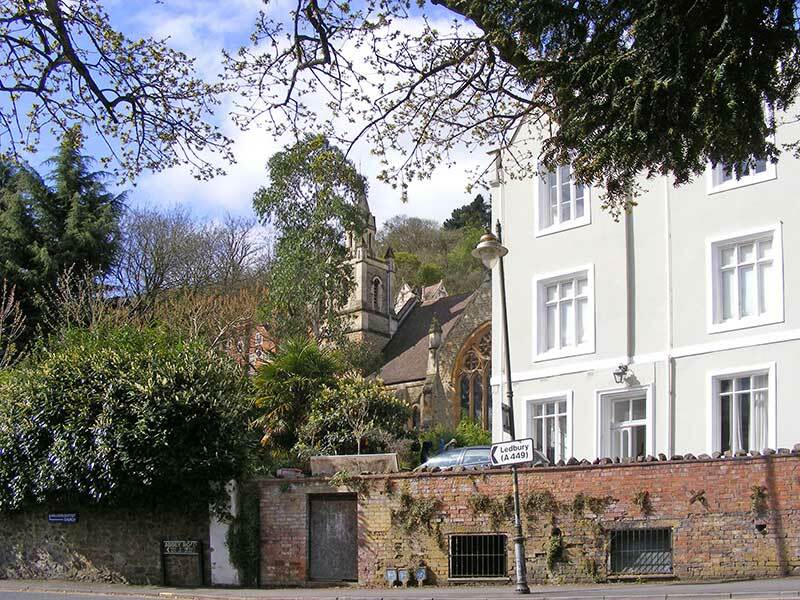 The church can also be approached from a footpath at the north end of Hampden Road. In recent time the back of the church has been converted into a wonderful kitchen and meetings area. 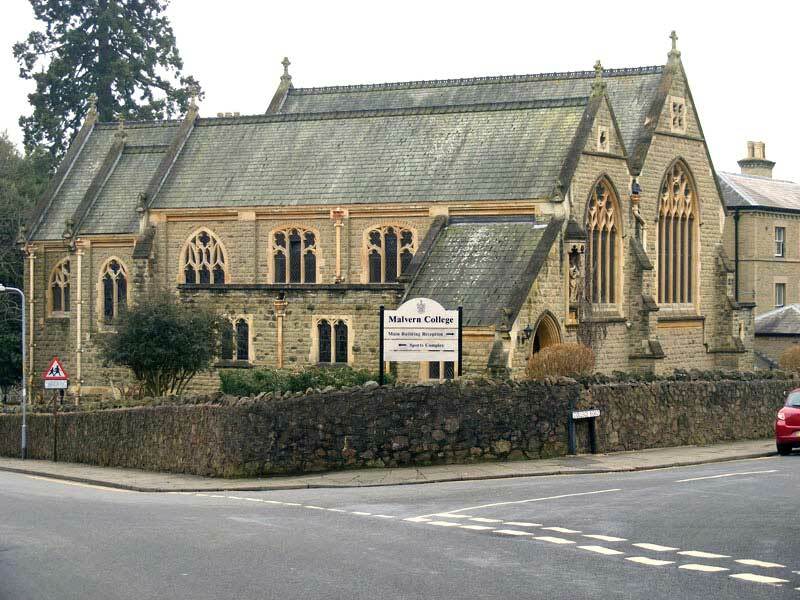 The Malvern Link United Reformed Church is situated at the west end of the main street. It was built in 1903 by the local firm of Wilesmith, when the congregation moved from the chapel at the east end of the main street. 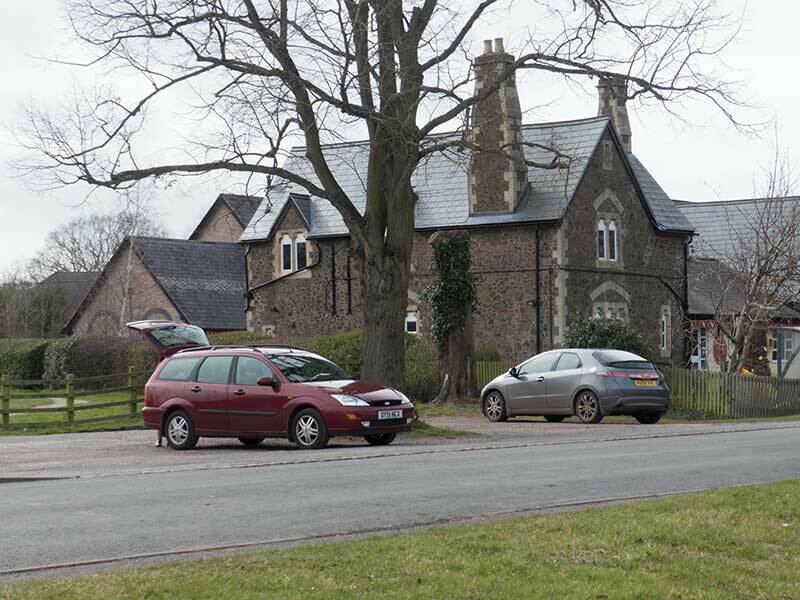 The photo below shows the URC viewed from the small car park at the rear. 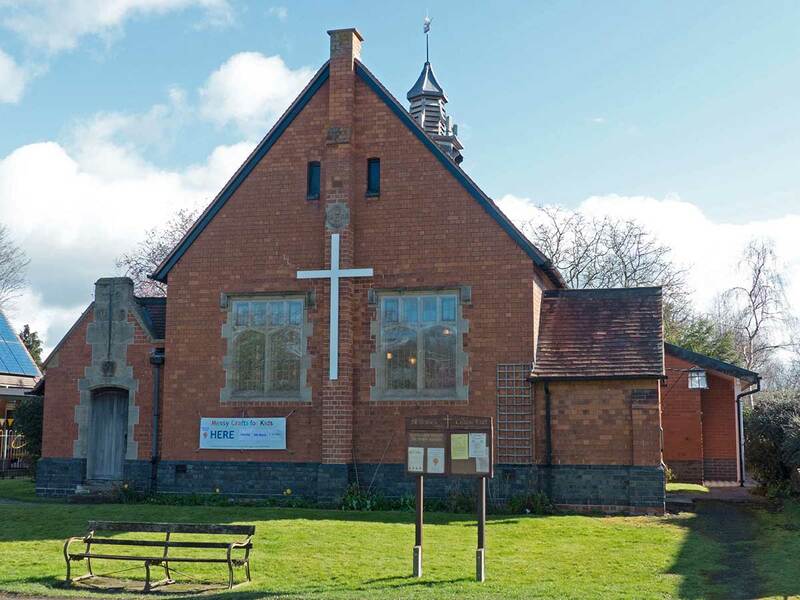 The first place of worship in Malvern Link was the non-conformist Chapel of Lady Huntingdon's Connexion which was a spin-off from the Methodist movement. 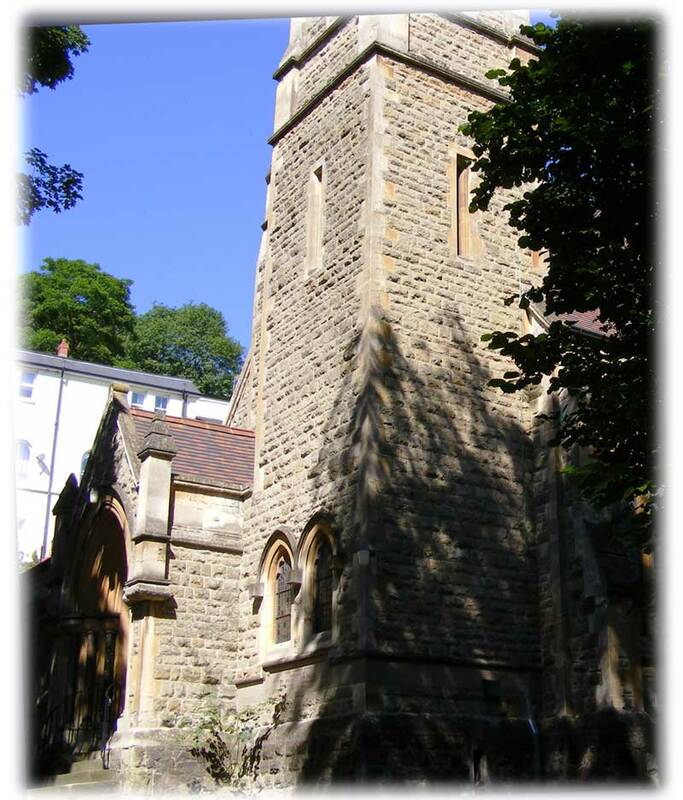 The chapel was built about 1837 as a result of the efforts of shopkeeper William Towndrow who was a grocer and draper. The first chapel was replaced by the later building shown above in 1861. Deterioration of the building led to the congregation moving to what is now the URC at the west end of the main street. The old chapel which lies opposite the junction with Spring Lane is currently being used as a take-away food outlet. 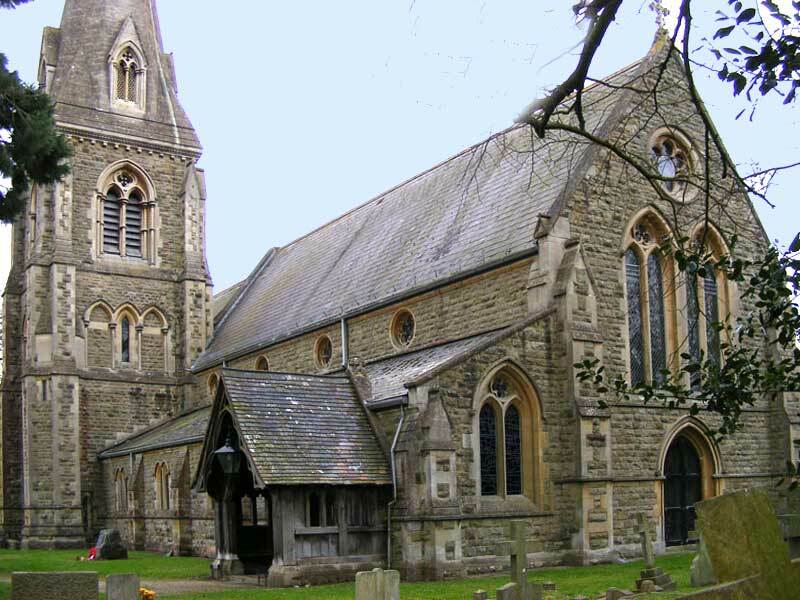 St Leonards was completed in 1864 under the patronage of Earl Beauchamp of Madresfield Court and replaced an ancient timber structure. 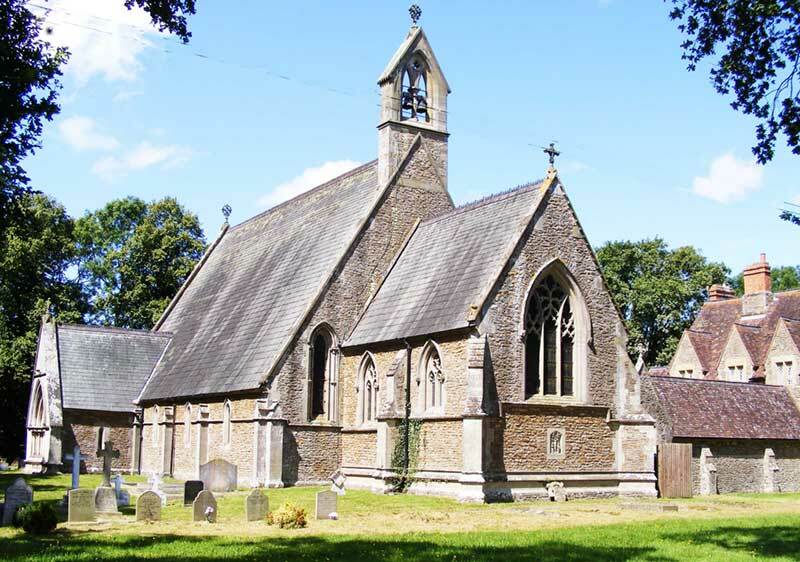 The chapel forms part of the complex of alms houses known as The Beauchamp Community. The interior wall paintings, devised by the first vicar, depict biblical scenes. The photo below shows the northern entrance. 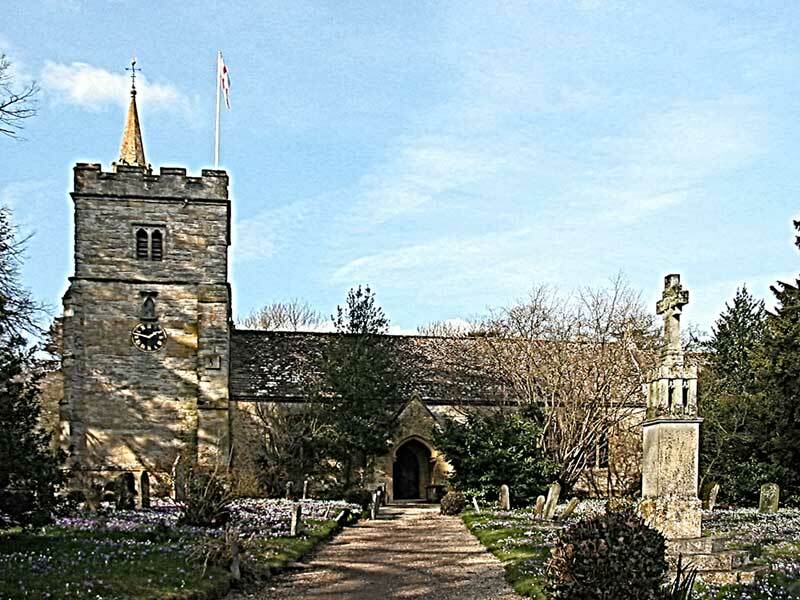 The present Parish Church of St Mary the Virgin, Madresfield, see photo opposite, was a gift of Frederick 6th Earl Beauchamp of Madresfield Court and was consecrated on 10th November 1867. The first church built about 1200 stood close to Madresfield Court. In the 1850s that church was replaced, but the foundations proved inadequate so the church was taken down and the present church erected at a greater distance from the Court. 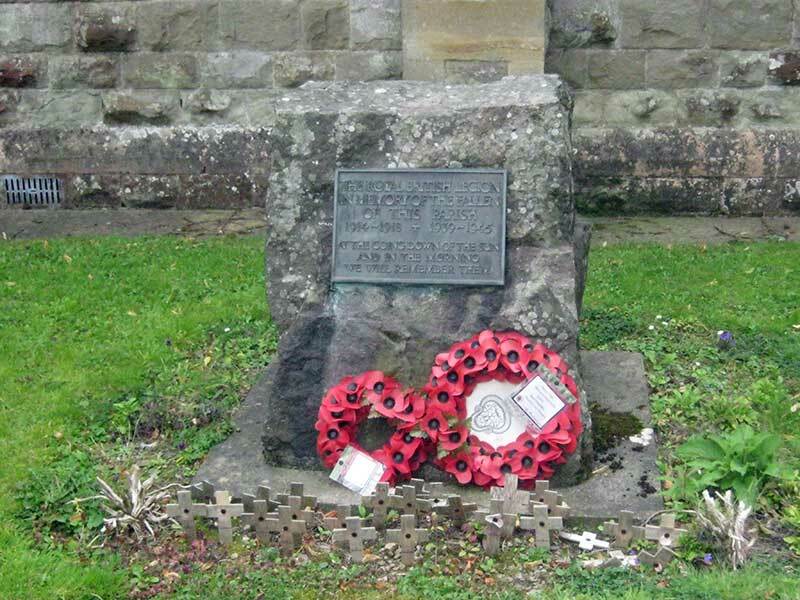 Click here to read more about the village of Madresfield and its war memorial. You can also read our biography of Reverend George Shaw Munn who was Rector of Madresfield from 1856 to 1905. 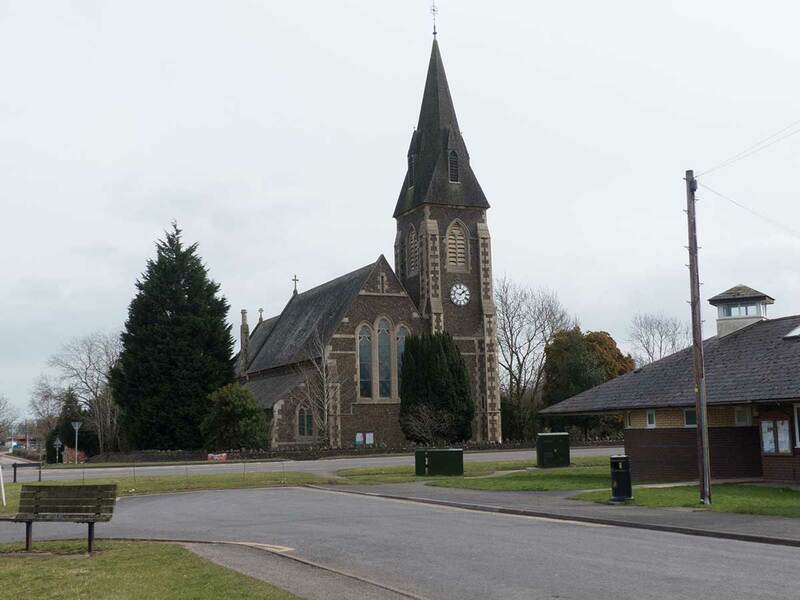 The church is in the Benefice of Powick and Guarlford and Madresfield with Newland for which a new website is being developed. 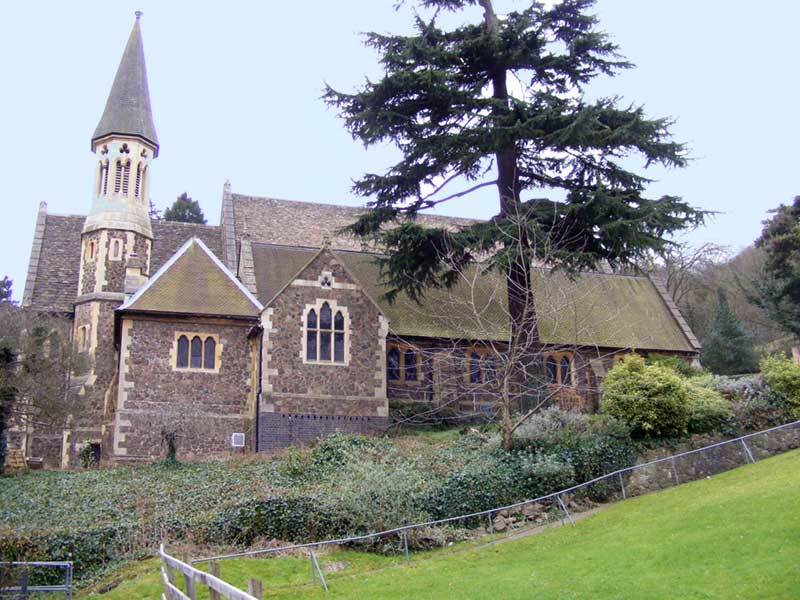 Apart from Great Malvern and Little Malvern Priories, the small church of Guarlford St Mary is the oldest existing church building in Malvern. It was built in 1843 - 1844 by local builder Thomas McCann on land given by Lady Emily Foley. The cost was met by generous local benefactors. 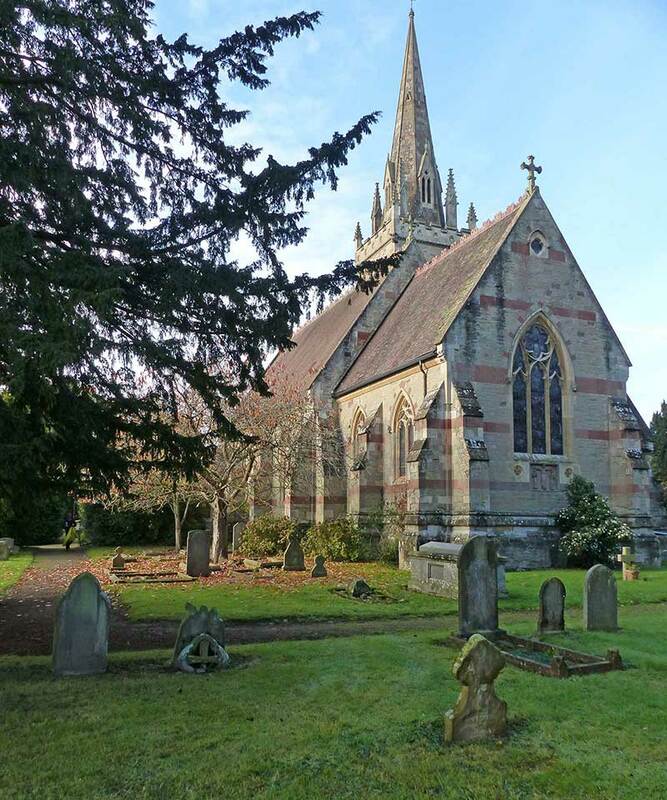 More about the church can be found on the parish of Guarlford website, including a transcription of headstones in the churchyard. 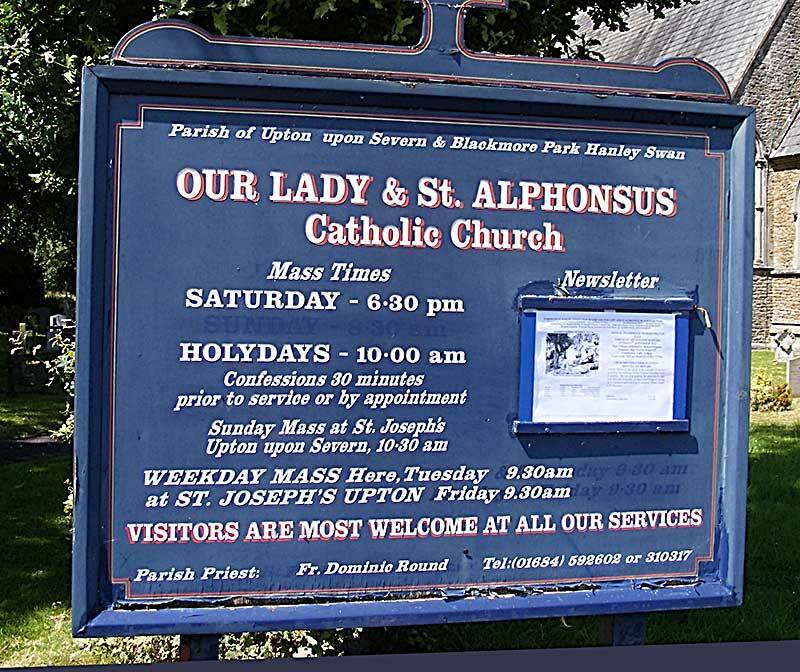 St Andrews was built about 1885 as a 'daughter' chapel of Christ Church, becoming a parish church in its own right only in 1977. Some sources suggest it was built in memory of Edward Chance who had lived at Lawnside in Avenue Road. An extension built on the south side of the church contains function rooms, a kitchen and toilets. St Andrews is particularly popular with young people. St Peter Powick which is part of the benefice of Powick and Guarlford and Madresfield with Newland, lies to the north of Malvern. At Powick village, bear right at the one way system taking the road to Callow End. 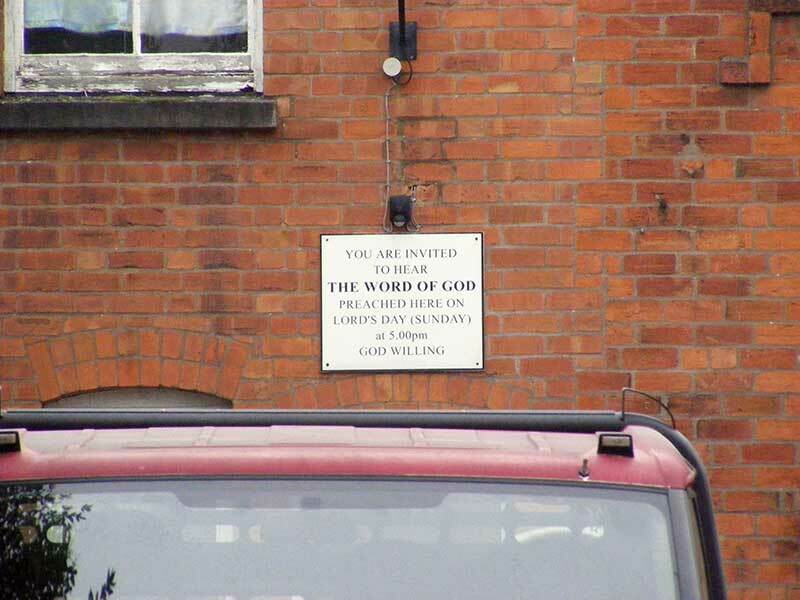 Immediately on your left is a narrow drive leading to the church. 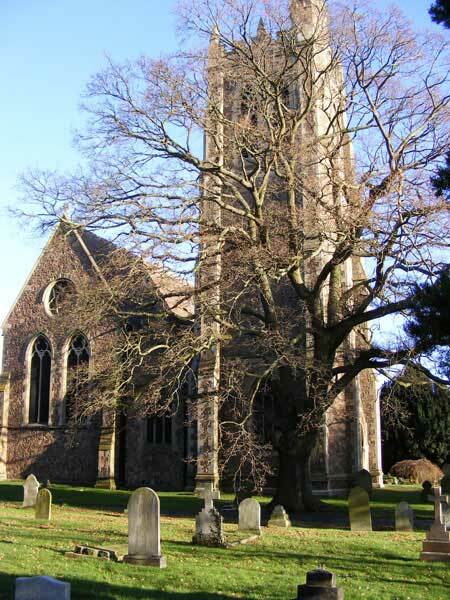 From the lychgate you will see an impressive bell tower. The photo below shows the south side of the church viewed from the churchyard. The church is considerably larger than perhaps the photo implies; it has a team of bell ringers and a surprisingly large churchyard. Parts of the church are thought to date back to the 12th century but you will be glad to know at the south east corner of the church there are modern kitchen and toilet facilities! The English Civil War started and finished nearby at Powick Bridge. The church tower was used as a lookout by Royalist forces. There are several memorials inside the church which might be of interest to local historians (note the church is often open to visitors on summer Saturday afternoons; but otherwise locked). In the churchyard, on the south side of the tower, there is a large memorial to John Whealer Lea one of the inventors of Lea and Perrins sauce. The clock on the tower was installed in 1879; the face is made from slate. Arent de Peyster Chance, born New York USA 1836, died Paris 1906, was a Midlands 'Brass Founder', the son of George Chance and Cornelia Maria Schuyler de Peyster. His mother was the daughter of soldier Arent de Peyster who must have been well known in his time. His father George was the brother of William and Robert Lucas Chance who founded the famous Midlands glassworks Chance Brothers. His cousin Edward Chance who lived at Lawnside in Great Malvern is mentioned briefly on our page about Malvern Schools. Arent's daughter Theodora had married Shropshire born clergyman Rev Edward Madoc-Jones in 1896 who the same year became vicar of Mattishall in Norfolk. He was quite difficult to trace in the census. He was born Edward Maddocks Jones the son of master upholsterer Edward Jones of 'Glentworth', Oswestry and Welsh born Emma Sarah Maddocks. At Caius College Cambridge he became Edward Madoc Jones before hyphenating his surname to Madoc-Jones. In the 1911 census he recorded himself as Rev Edward Madoc Madoc. Perhaps he felt he needed a surname more in tune with his rank. 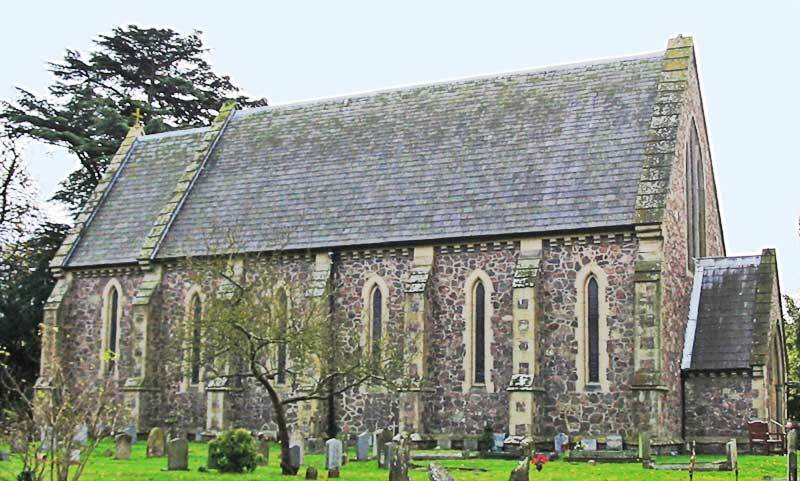 St James, built from red brick, is a 'daughter' church of St Peter Powick, and is situated between the village C of E Primary School and Callow End Club. 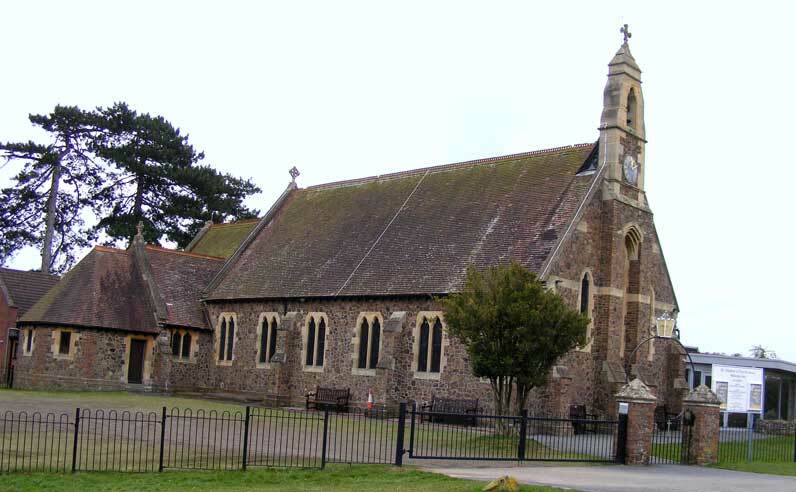 The church was built in 1888 by the sixth Earl Beauchamp. The village hall nearby can be hired for church and other functions. 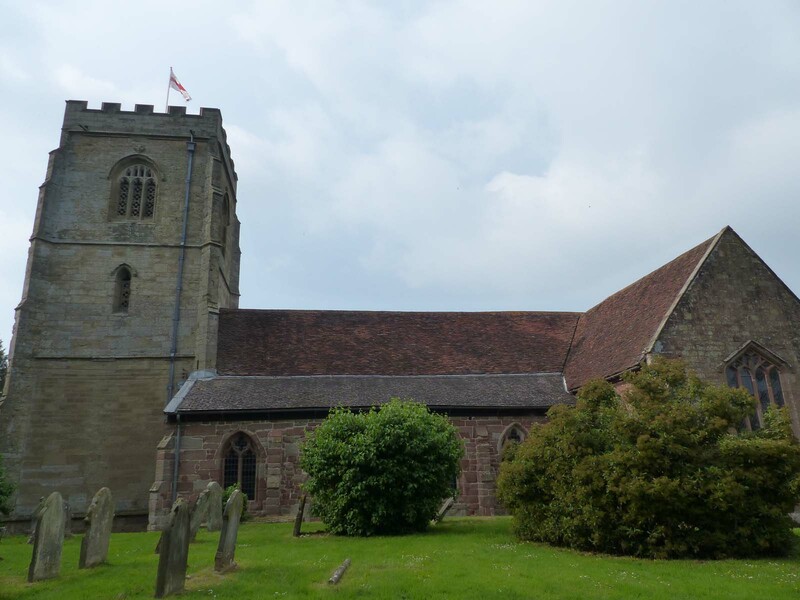 The church is in the Benefice of Powick and Guarlford and Madresfield with Newland for which a new website is being developed - this is scheduled for Spring 2019. St Gabriel's, which was dedicated on 13th April 1873, was funded by retired Liverpool 'Insurance Broker' Samuel Martin (1803 - 1883) of Catterall, Hanley Castle, and built on land given by local landowner Lord Edmund Lechmere. Lord Lechmere also gifted the fine Reredos behind the altar. Samuel Martin was a partner in the firm Rathbone Martin and Co. He married Isabella Moon who died in 1867, and soon after their daughter Mary died in 1869. Mary had married William Hudson Swire by whom she had five children one of whom was the mother of Leo Berkeley Paget, Military Cross. The photo below shows the entrance porch and tower of the church taken from the north west corner of the churchyard. There is a large car park to the east of the tower. To the left of the entrance you can just make out the red poppies on the war memorial. 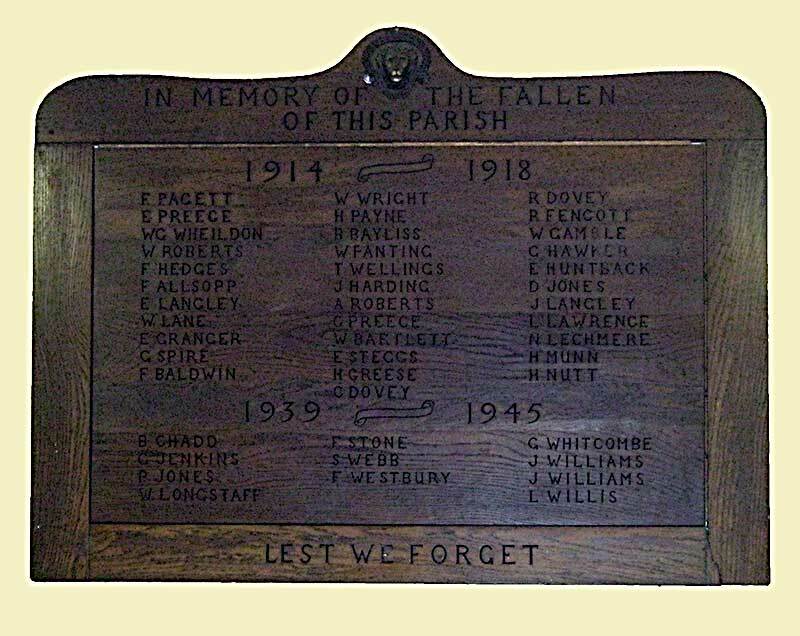 The 'Roll of the Fallen' is not in the church but above the door into the main hall of Hanley Swan Village and Memorial Hall, see photo below. The memorial probably lists those of both Church of England and Roman Catholic faiths. So many men lost for such a small rural community. 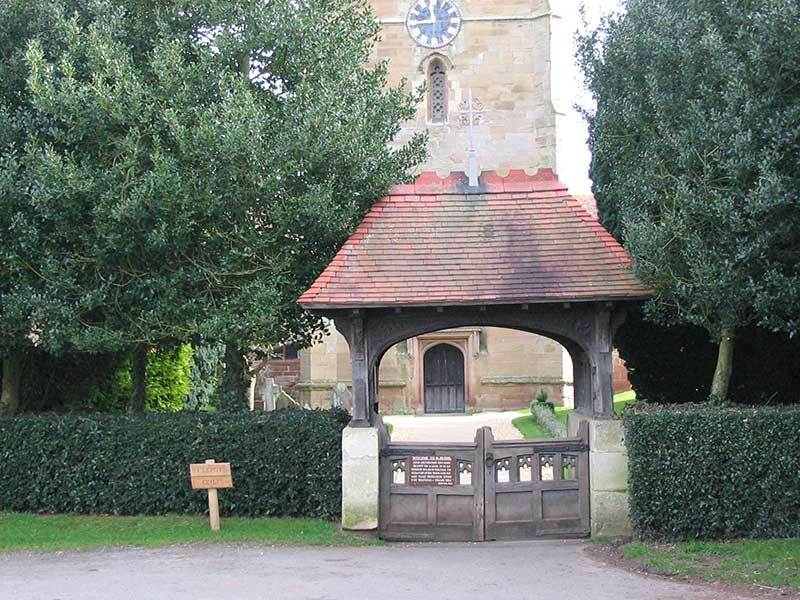 The photo below shows the lychgate of St Gabriel's. 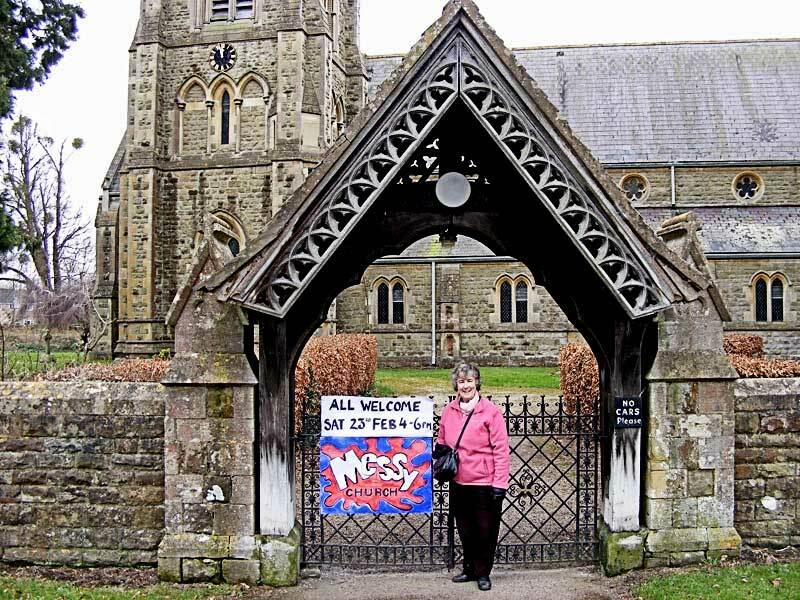 The poster on the gate advertises Messy Church, an occasional fun afternoon for families involving painting and craft activities. Following the road south from the cross roads at Hanley Swan, you will pass Hanley Swan Primary school and the Village Hall on the right. Proceeding on through farmland, you will eventually arrive at the cross roads marking the village of Welland. On the left is The Pheasant pub, which has been closed for some time, and St James church, on the corner opposite, which was consecrated in 1875. On your right is Marlbank Road, off which is the Village Hall, car park, recreation ground, childrens' play area and Welland Primary school. St James Church Burial Ground can be found a little further down the Marlbank Road on your right, just past the turning into Lime Grove, where a new lychgate has been built to mark the entrance. The postcode WR13 6NE will get you nearly there. Mary Purser has recorded the memorials and a paper record and map of the burial ground can be found in St James church. Charles Dovey, Richard Dovey, and Wilfred Gamble who died in WWI; and Wilfred Longstaff and Frank Westbury who died in WWII. Also recorded is Thomas Dovey, a Bombardier in the Royal Field Artillery who died in India on 27th October 1918. Blackmore Park Mansion no longer exists, but an impression can be gained of the house from the image below, which is based on a photograph in the 1919 sale catalogue. In fact a buyer was not found for the mansion until 1926, and shortly after that it was badly damaged by fire and was demolished. 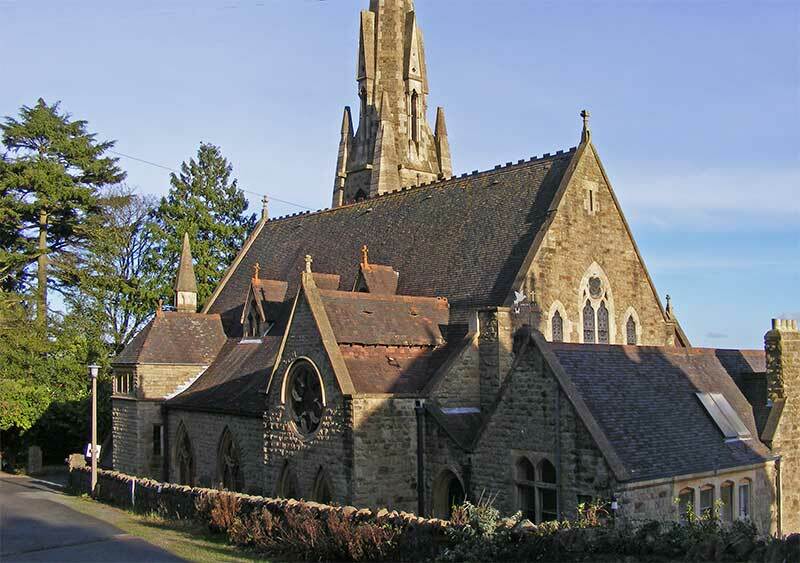 Other Catholic churches are St Joseph's in Newtown Road, Malvern Link, and St Wulstan's in Little Malvern where the composer Sir Edward Elgar is buried. Birlingham is a small rural hamlet lying within a loop of the river Avon to the east of Defford. To reach it take the road from Upton upon Severn to Pershore turing right at the top of a rise just after the dip at Defford Bridge. After turning off the main road you may, like us, feel transported back in time as you approach Birlingham church opposite a small green on which stands the war memorial. A good time to visit is in late February when the churchyard is carpeted with snowdrops and crocuses. The tower dates from the 15th century, but the rest of the church was largely rebuilt in 1784, when it consisted of a chancel and nave. The church was again entirely rebuilt in 1871–2 with money left by the Rev. Robert Eyres Landor, former patron and rector (ref 4). 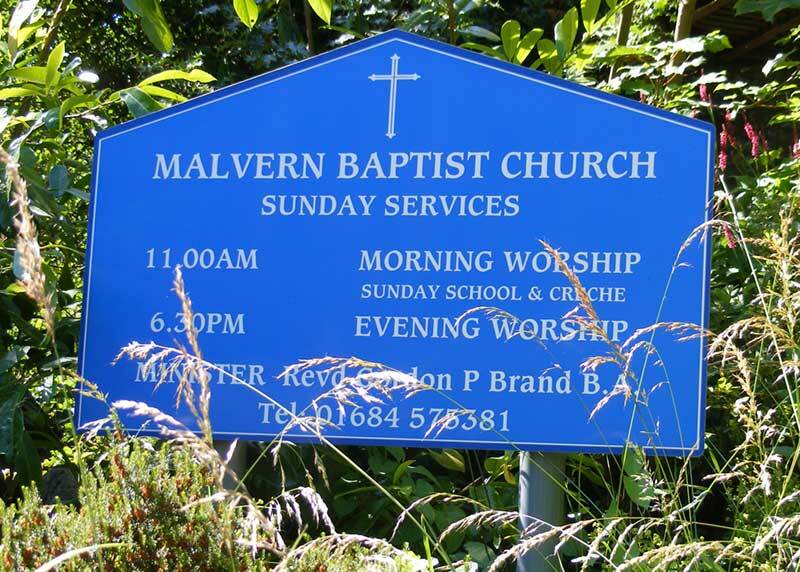 Much more information about the churches and chapels of Malvern can be found in the references at the bottom of the page. Catherine Moody, Silhouette of Malvern from Queen Victoria to Queen Elizabeth II, The Priory Press, Malvern 1953. Ellis, Rod, Dissenters All. 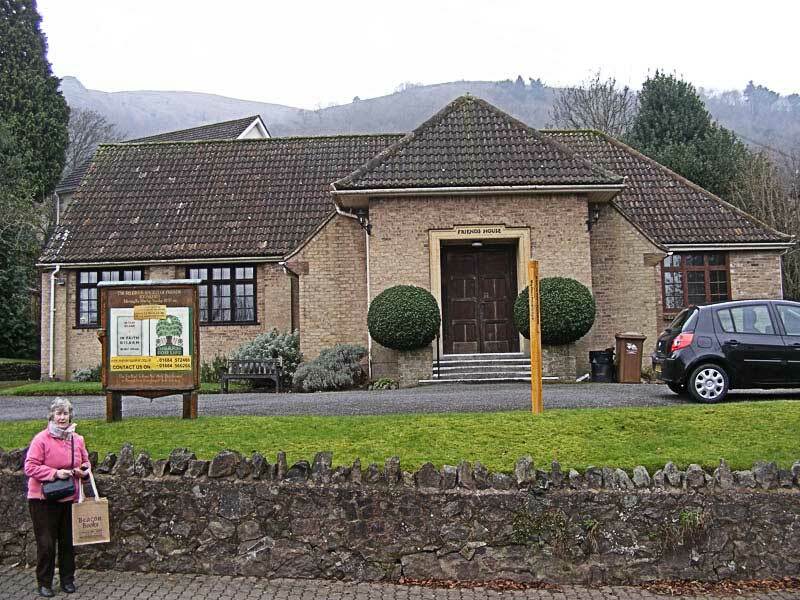 The story of the non-conformist churches of the Malverns, Aspect Design, 2008. 'Parishes: Birlingham', A History of the County of Worcester: volume 4 (1924), pp. 23-29.